About me: Gianuario Fortunato received in 2012 a B.Sc. in Biology from the University of Bologna, Italy, and in 2015 an M.Sc. in Molecular and Cellular Biology from the same University. During the bachelor’ and master’s internship he worked on the extracellular bioreduction of tellurite by the photosynthetic bacterium Rhodobacter caspulatus. The main themes of his work was included the best metabolic conditions to allow the extracellular reduction of tellurite in native tellurium by Rhodobacter; a second part of this work was the determination of the tellurium nanoparticles by AFM (atomic force microscopy) and XPS (X-ray photoelectron spectroscopy). Now, he is a Ph.D. student at Universidade Catolica Portuguesa, and a Marie Curie Early-Stage Researcher at the ANSWER project. His work focuses on the measurement of the impact of antibiotic resistance discharge in wastewater and in soil: ecological aspects. About me: Roberto Marano received his B.Sc. degree in Molecular Biology from the University of Catania (Italy) in September 2012 and subsequently moved to the University of Trieste (Italy) for an M.Sc. in Functional Genomics. His theoretical background is focused on technologies characterizing the study of genomics, transcriptomics and proteomics. He performed his thesis internship at the Yeast Molecular Genetics laboratory of the ICGEB institute of Trieste, from March 2014 to March 2015, developing an acute myeloid leukemia model in yeasts. In specific, his scientific experience is related to standard and novel molecular genetics techniques applied to microorganisms such as Escherichia coli and Saccharomyces cerevisiae. 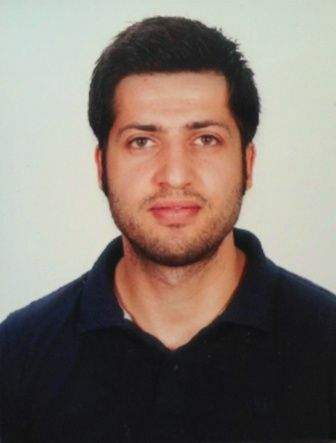 Currently he is registered as a Ph.D. student to the Hebrew University of Jerusalem (Israel) and he is performing his research in the lab of Dr. Eddie Cytryn (ARO). Within the framework of the ANSWER project his work is based on the development and application of novel methods for targeting mobile genetic elements in wastewater and downstream environments. About me: Ioannis Kampouris received in 2012 a B.Sc. in Biochemistry and Biotechnology from the University of Thessaly, Greece and in 2016 an M.Sc. in Applied Genetics and Biotechnology from Aristotle University of Thessaloniki, Greece. During the bachelor’s thesis he analyzed polymorphisms in mitochondrial tRNA genes between normal individuals and patients with Alzheimer disease. During the master’s thesis he was involved in a multi-disciplinary team project which consisted of chemical engineers, food technologists and biotechnologists. The primary goal of the project was the reduction of biofouling in membrane bioreactors. He conducted his master’s thesis under the supervision of Prof. Petros Samaras and Prof. Minas Yiangou. The main theme of his master’s thesis work included the isolation of a novel strain, from urban wastewater sludge, with high degrading ability of N-acyl-homoserine lactones and the utilization of the isolated strain for the reduction of biofouling in a pilot-scale membrane bioreactor. Now, he is a Ph.D. student at the Technische Universität Dresden, and an Early-Stage Researcher at the ANSWER project. His work focuses on the effect of wastewater irrigation on the passage of ARB&ARG towards ground/surface waters. About me: Aparna Chandrasekar received in 2013 a B.Sc. in Chemical Engineering from the B.M.S. College of Engineering, in India, and in 2015 an M.Sc. in Process Engineering, from Delft University of Technology (TU Delft), Netherlands, with an excellence scholarship from the Process Technology Institute at TU Delft. As part of her master thesis, she worked on wastewater treatment using banana peels for the removal of fluoride from wastewater. She also took up various challenging internships in the field of process engineering and product development at reputed companies, like Indian Oil Corporation, Oil and Natural Gas Corporation, and Technip B.V. Currently, she is a Ph.D. candidate at Technische Universität Dresden (TUD) and an Early-Stage Researcher of the ANSWER project. Her work focuses on the study of antibiotic-resistant bacteria in surface and groundwater. About me: Gabriela Karina Paulus is a Pharmaceutical Biotechnologist. She received a B.Sc. degree in Biotechnology from the University of Hohenheim (2012), in Germany, and an M.Sc. in Drug Research from the University of Bonn (2016), in Germany. During her studies, Gabriela absolved various internships in many areas of interest, ranging from pharmaceutical and metabolic to biochemical topics. This internship included a research period at the pharmaceutical company Merck, investigating the effects of UV-radiation in combination with chemical compounds on microorganisms in industrial wastewater effluents, as well as an internship at the university clinic of Bonn, investigating the effects of cyclic nucleotides on white murine adipose tissue and a research stay at the Max-Planck-Institute of Aging in Cologne. Currently, she is a Ph.D. candidate at KWR and an Early-Stage Researcher of the ANSWER project. Her work focuses on the dissemination and fate of wastewater-derived ARB&ARG in surface water as a storage means before reuse. About me: Francisco Diogo de Almeida Cerqueira received in 2012 a B.Sc. in Biology, from the University of Lisbon, Portugal and in 2015 an M.Sc. in Applied Microbiology from the same University. He completed an internship, during the first year of his master’s studies, at the Centre for Ecology, Evolution and Environmental Changes (Ce3C) in Portugal, regarding the characterization of rhizospheric bacteria and the assessment of their biocontrol capabilities. During his master’s thesis he examined the diazotrophic bacteria, Azospirillum brasilense, with the purpose of optimizing its inoculum performance, by assessing ways to increase its biofilm formation, increasing its potential use in biofertilizers. He also worked in the company SoilVitae, Lda, researching rhizospheric bacteria antifungal properties and interactions among those same bacteria. After his master’s thesis, he continued working at Ce3C, studying silicate solubilizing bacteria with the prospective of incorporate those bacteria in a biofertilizer. In May 2016, he joined the ANSWER project as a Ph.D. student at the Spanish National Research Council (CSIC). His research focuses on genetic analysis of endophytic bacteria in edible plants by high-throughput sequencing. About me: Nazareno Scaccia received a B.Sc. in Biotechnology and an M.Sc. in Industrial Biotechnology from the University of Pavia (Italy). After the completion of his master’s thesis at the Department of Biotechnology of Lund University (Sweden), he continued in-depth studies of various organisms from rumen to produce platform chemicals and biofuels. Recently, he worked at the Laboratory of Microbiology at Wageningen University (The Netherlands) as a Research Assistant. His work focused on unravelling the rhamnose metabolism in Clostridium species and investigating the possibility to use green seaweed as feedstock in a biorefinery system. In March 2016, he joined the Marie Sklodowska-Curie ITN ANSWER project as a Ph.D. student in the Research Centre CBQF of the Universidade Católica Portuguesa (Portugal). His research focuses on the evaluation of possible risks of antibiotic resistance transmission to humans by treated wastewater-irrigated crops. About me: Đorđe Tadić received in 2012 an M.Sc. in Food Engineering from the University of Novi Sad, Serbia (Faculty of Technology Novi Sad). The research part of his master thesis was performed at the Department of Biotechnology, Microbiology and Food Safety of the Biotechnical Faculty in Ljubljana, Slovenia; where the antimicrobial activity of phenolic extracts capsulated in β-cyclodekstrine and liposome was studied. After his master graduation, he worked in a sugar factory, where he was in charge for controlling technological parameters of sugar production and product quality. From October 2014, he has been working at the “Center of Excellence in Food Safety and Emerging Risks, Laboratory for Chemical Contaminants and Mass Spectrometry” at the Faculty of Technology, Novi Sad. He worked on the development and validation of methods for the analysis of different groups of organic pollutants. Analysis of persistent organic pollutants was performed employing UPLC-MS, GC-MS and GS-µECD in water, soil and food samples. Currently he is employed as an Early-Stage Researcher of the ANSWER project at the Institute for Environmental Assessment and Water Research (IDAEA-CSIC) and he is a Ph.D. student at the Technical University of Catalonia - Barcelona School of Biosystems and Agri-Food Engineering. His research focuses on the uptake of antibiotics and antibacterial contaminants in crops. About me: Radu L. Elena is a Biologist. She received a B.Sc. degree in Biology (2013) and a M.Sc. degree in Medical Biology from the Faculty of Biology, University of Bucharest, Romania (2015). During the master’s thesis, she was working as Scientific Researcher Fellow and she was involved in a multi-disciplinary team project which consisted of Chemical Engineers, Physicists and Electrical Engineers. The main objective of her master thesis was the influence of the electromagnetic field on metabolism and microbial growth, having several applications in environmental protection and in medical field. Her research interest has been focused on the biodegradability, bioremediation, biocorrosion, with emphasis on molecular and cellular biology of the microorganisms. She was also working as Scientific Researcher at the Institute of Virology, Bucharest, Romania, in the Department of Cellular and Molecular Pathology, as molecular biologist. Currently, she is a Ph.D. student at the Technische Universität Wien (TU-Wien) and a Marie Curie Early-Stage Researcher at the ANSWER project. Her research will focus on the modelling horizontal resistance gene transfer by free DNA in activated sludge treatment plants and soil. About me: Katarzyna Ślipko is a Biotechnology Engineer with a B.Sc. from the Department of Energy and Environmental Engineering of the Silesian University of Technology in Poland (2015). She obtained her M.Sc. in May of 2016 with specialization in “Biotechnology in Environmental Protection” from the same university. She conducted her master thesis under the supervision of Dr. Aleksandra Ziembinska - Buczynska. It focused on the use of PCR - DGGE methods for analysis of genotypic structure of bacterial community in vertical flow constructed wetlands. Her research interests are in the field of biodiversity of microorganisms in wastewater treatment plants, analysis of wastewater treatment processes including bacterial removal of particular contaminants and providing solutions to problems connected with the environmental pollution with pharmaceuticals. Now, she is a Ph.D. student at the Technische Universitaet Wien (TU-Wien), and a Marie Curie Early-Stage Researcher at the ANSWER project. Her research will focus on the management options for conventional and advanced wastewater treatment technologies and plant operation conditions to improve the efficiency of antibiotic resistance removal. 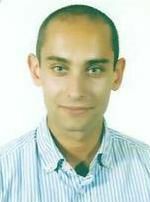 About me:Iakovos C. Iakovides is a Chemical Engineer with a B.Sc. from the Department of Chemical Engineering of the University of Patras (2012). He obtained his M.Sc. in October, 2015 in ‘Energy and Environment’ from the Department of Chemical Engineering of the University of Patras with a grade 9.05 out of 10. His M.Sc. thesis focused on the use of physicochemical methods for the treatment of agricultural and industrial by-products that was carried out at the Laboratory of Transport Phenomena and Physicochemical Hydrodynamics (TPPH) of the University of Patras. During his postgraduate studies, he got involved in several scientific projects funded by the General Secretariat of Research and Technology of the Ministry of Development in Greece and Institute of Chemical Engineering Sciences (FORTH/ICE-HT). His research interests lie in the field of investigation, analysis and optimisation of wastewater treatment processes for the efficient removal of pollutants, and the recovery of resources in the form of nutrients and energy, that could help provide environmental solutions to pressing environmental issues. Currently he is a full-time Ph.D. candidate and a Marie Curie “ANSWER” Early Stage Researcher. His research focuses on the removal of contaminants of emerging concern from urban wastewater through the use of a membrane bioreactor (MBR) followed by light-driven oxidation. About me: Ian Zammit received in 2012 a joint honors B.Sc. in Chemistry and Biology from the University of Malta. After working on his undergraduate research project in green synthetic chemistry with a pharmaceutical company (Amino Chemicals), he joined the company as a Production Assistant (2012-2013). He also received in 2015 an M.Sc. in Environmental Science from Stockholm University (SU), supported by a scholarship scheme by the Government of Malta. During his master research work he worked on hydroxyl radical degradation kinetics in the gaseous phase monitored by on-line mass spectrometry. After finalizing his master thesis, he was employed by the Department of Environmental Science and Analytical Chemistry of SU as a research and teaching assistant (2015-2016). Currently, he is an Early Stage Researcher at the ANSWER project hosted by the University of Salerno. His research focuses on the development of a new photocatalytic reactor for wastewater disinfection and subsequent application in crops irrigation. About me: Francesco Biancullo received a B.Sc. (2012) in Civil and Environment Engineering and an M.Sc. in Environmental Engineering (2015) from the Università degli Studi di Salerno (UNISA), Italy. His main field of interest is related with advanced oxidation processes technologies and their application on wastewater treatment and reuse. His M.Sc. thesis title is: “Inactivation of antibiotic-resistant E. coli by UV/Vis radiations and photocatalysis processes”. Part of the thesis work was developed at NIBEC (Nanotechnology and Integrated Bioengineering Centre, University of Ulster, United Kingdom) complemented at the Department of Civil Engineering and Department of Industrial Engineering (UNISA). During the thesis period he has learned methodologies for the detection of antibiotic resistance and the procedure of synthesis and immobilization of doped photocatalysts on macroscopic supports and their characterization. After his M.Sc. degree he has continued to work on the multidisciplinary theme of antibiotic resistance, carrying out additional photocatalytic disinfection experiments. Now, he is employed as an Early-Stage Researcher at Adventech Lda (Portugal) and he is a Ph.D. student at Chemical and Biological Engineering course at FEUP (Faculdade de Engenharia da Universidade do Porto, Portugal). His research focuses on the Light-Emitting Diodes (LEDs)-driven photocatalytic membrane treatment of ARB&ARG and market/benchmark assessment. About me:Vasiliki Beretsou is a Chemist with a B.Sc. degree from the Department of Chemistry of the University of Athens (Greece) (2013). During her B.Sc. studies, she had a four-month internship at the Pesticide Residues Laboratory of General Chemical State Laboratory (Greece). She received her M.Sc. in October of 2015 with specialization in “Analytical Chemistry” from the same university and she conducted her master thesis under the supervision of Dr. Nikolaos Thomaidis. Her research interests are focused on the occurrence and fate of contaminants of emerging concern in engineered and natural environments, with emphasis on the identification of transformation products of pharmaceuticals by applying state-of-the-art analytical techniques (LC-QTOFMS), and suspect and non-target screening approaches. Currently, she is a Ph.D. candidate at the University of Cyprus and an Early Stage Researcher of the Marie Skłodowska-Curie ITN “ANSWER”. Her research focuses on the investigation of the potential of transformation products of antibiotics formed during advanced wastewater treatment to induce biological adverse effects and antibiotic resistance. About me: Nikiforos Alygizakis holds a B.Sc. in Chemistry and a M.Sc. in Chemical Analysis and Quality Control awarded by the University of Athens. His B.Sc. was funded by Athens University Legacy Foundation (Antonios Papadakis Legacy) and his M.Sc. by John S. Latsis Foundation. During his studies, he developed both analytical and programming skills. He is experienced in many sample preparation and instrumental techniques as well as programming, mainly using R language. He was trained on testing the quality of medicines during his four-month internship at the National Organization for Medicines of Greece. Moreover, he joined Prof. Thomaidis’ research team at the University of Athens, where he worked on sewage epidemiology field. He participated in many collaborative trials (COST action ES1307) and employed LC-QqQ to determine drugs of abuse and pharmaceuticals including many of their transformation products in different matrices. During his master thesis, he conducted research using state-of-the-art analytical equipment (LC-QTOF) and cutting-edge data processing tools to detect compounds with high fluctuation among replicated time-series wastewater samples and identify them using non-target strategies. His research interests are focused on treatment of LC-HRMS data, prioritization methodologies and non-target screening. Currently he is a Ph.D. Candidate to University of Athens and a Marie Curie Early-Stage Researcher at the ANSWER Project, and his work is based on the development of advanced methods for the identification and risk assessment of antibiotics and their transformation products in wastewater.